The 2014 International Conference on Future Information Engineering and Manufacturing Science (FIEMS 2014) was held June 26-27 in Beijing, China. The objective of FIEMS 2014 was to provide a platform for researchers, engineers, academics as well as industry professionals from all over the world to present their research results and development activities in Information Engineering and Manufacturing Science. 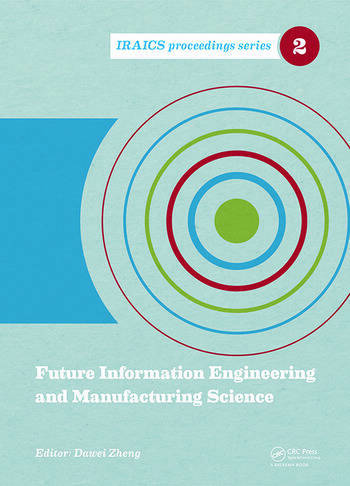 The program consisted of invited sessions and technical workshops and discussions with eminent speakers, and contributions to this proceedings volume cover a wide range of topics in Information Engineering and Manufacturing Science.